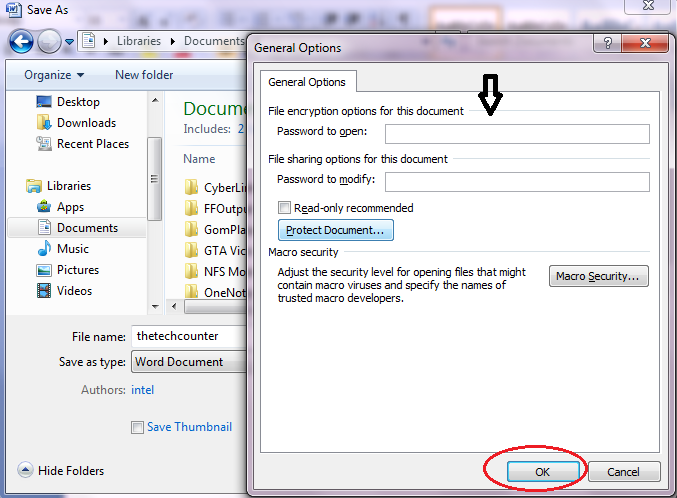 There are many software available to lock a folder or to protect data from unwanted person. But we have to install these software in PC. 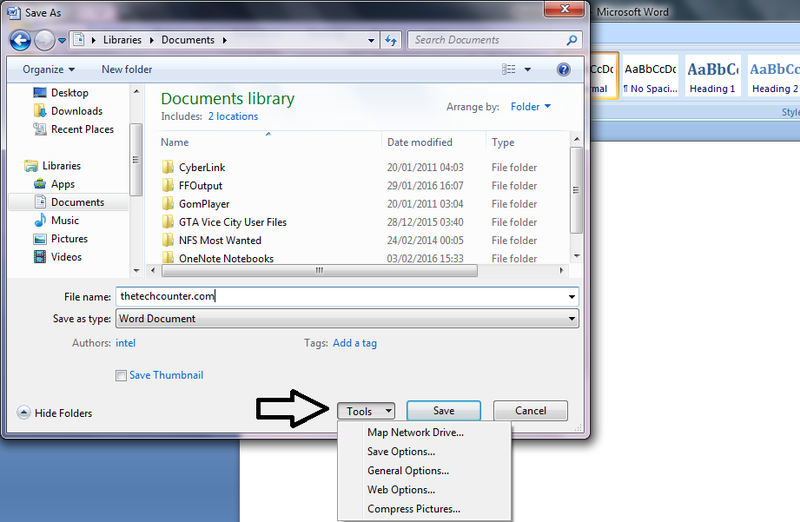 Also there are many tricks available to unlock these softwares and steal a data. 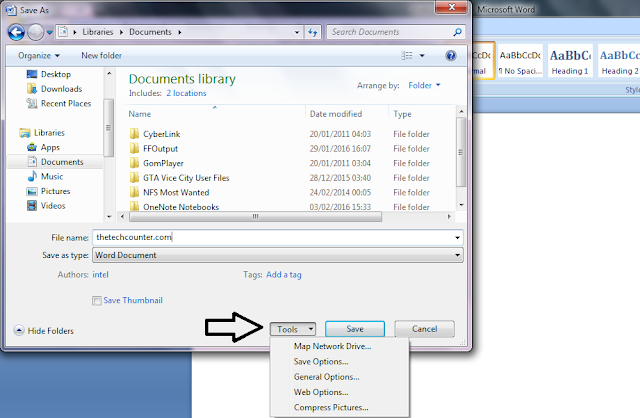 If you are not supposing to install these software then here is a trick to protect your data. There is no software needed. Just follow several steps to protect your data. 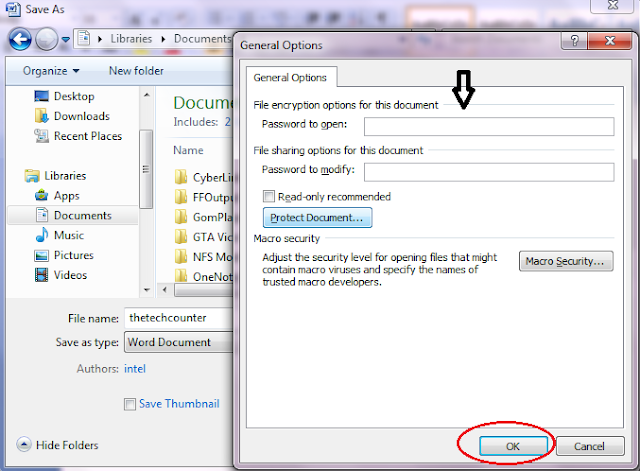 You can give password to your file. Here I can teach you the simple way to secure your personal Word document without wasting too much time on other Applications or any Website. 1. 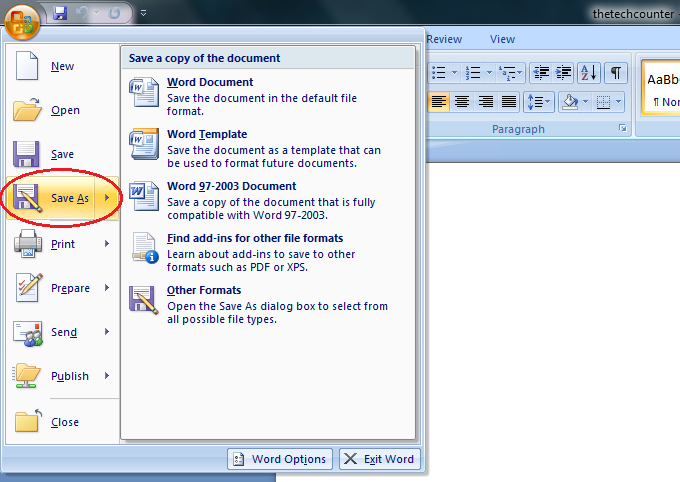 First open Microsoft word which you want to protect. 2. Now, go to Save As option. 3. Now, click on Tools > General Options. 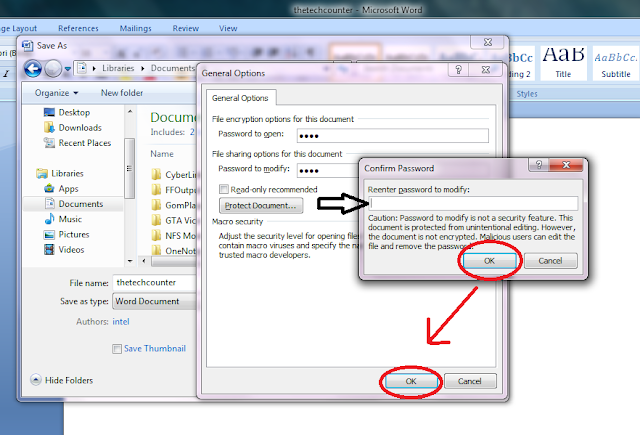 Giving password in 2nd you can restrict person from editing data. 5. 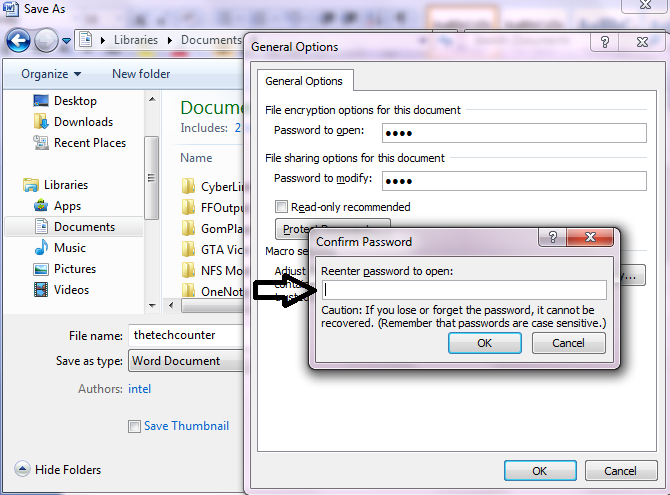 After giving password press OK. Now a dialog box will come up asking you to confirm this password. After that Re-Enter password to modify if you chosen it. Finally your file is now password protected.